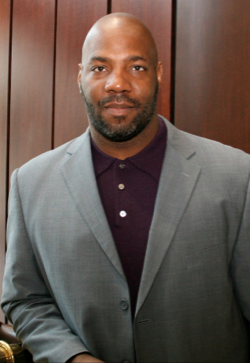 Jelani Cobb is the Ira A. Lipman Professor of Journalism at Columbia University. He was previously a history professor and director of the Institute of African American Studies at the University of Connecticut. He specializes in post-Civil War African American history, 20th century and modern American politics and the history of the Cold War. Cobb served as a delegate to the 2008 Democratic Convention and was selected as part of the Root 100 in 2013 — a listing of influential African American thinkers, artists, entrepreneurs and leaders. Cobb has contributed to a number of anthologies including In Defense of Mumia, Testimony, Mending the World and Beats, Rhymes and Life. He is a frequent contributor to NewYorker.com and his work has appeared in The New Republic, the Washington Post, the New York Times and Vibe magazine. He has also been a featured commentator on MSNBC, National Public Radio, CNN, Al-Jazeera, CBS News and a number of other national broadcast outlets.